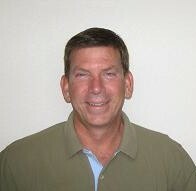 Hi, I am Greg Waddell, owner and founder of Tangle Ridge Builders, LLC. While I have been in the building industry since the early 90’s, I founded Tangle Ridge in 2003 to concentrate on providing a different kind of building experience. One in which, by limiting the number of homes that we build each year, I can provide you with the personal, one on one attention to detail that you deserve. Our old fashioned commitment to quality combined with the latest in building materials and energy efficiency will provide you and your family with a home that will meet your lifestyle needs. We work closely with a team of highly qualified subcontractors who share our commitment for quality and have dedicated themselves to our company motto of simply, “Just Do It Right”. At Tangle Ridge, we not only strive to do it right, we strive to do it better and in the end exceed the expectations of our homeowners.